How to Write Effective Thesis Statements. It is easy enough to state a claim. For example, just write a brief evaluation of an event, add the main justification, and you already have a thesis statement. But is it effective? That is where a line must be drawn because not all thesis statements are created equal. Some are simply more effective than others. The failure to write an effective thesis statement can have a negative impact on your entire essay. In this article, we will be discussing how to write effective thesis statements that will make your essay a cut above the rest. Let's take a look. But first, in case you do not know yet how to write a thesis statement, we have you covered. Read our article about it here. In any case, the first tip to make your thesis statement effective is to make it specific. For example, do not simply say that you agree or disagree with the story of a book or movie. Also, do not merely state that, for instance, a poem or article is bad because you do not like it. Instead, in the example given, single-out the main aspect of the book or movie that you agree or disagree with, and write the main reason or reasons why. The reasons should be precise, brief, and clear. Another tip on how to write effective thesis statements is to use strong verbs and adjectives. This is crucial in your reasons or supporting statements for your claim. For example, do not simply write that a poem supports feminism because it opposes violence against women. Rather, say that a poem champions feminism because it denounces broad forms of abuse against women and emboldens women to exercise prudent self-determination. Using strong verbs and adjectives in your thesis statement such as in the example above gives it more appeal, raises interest in what you are trying to say, and invites your audience to know your claim by reading further. 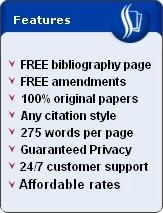 A third secret in writing effective thesis statements is to remove unnecessary remarks or words. They only add clutter. For example, do not begin your thesis statement with the signal phrase "I think that..." The reason is that your thesis statement is your personal claim and, therefore, it already reflects your thoughts. Otherwise, you risk sounding redundant. 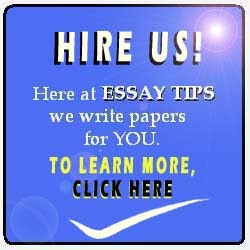 If you need more help in writing effective thesis statements, send us an email.